The Fourth of July is a great time of celebration. Also called Independence Day, American citizens celebrate the 4th of July as a commemoration of the adoption of the Declaration of Independence. Many people celebrate by hosting backyard BBQs and these 4th of July Cupcakes would be a great item to serve as dessert. This page may contain affiliate links for your shopping convenience. The links help support the blog as we may earn a small commission at no extra cost to you, our readers. As an Amazon Associate, I earn from qualifying purchases. Cover 9 cupcakes with red icing, 9 cupcakes with white icing and 6 cupcakes with blue icing. Top blue icing with stars. 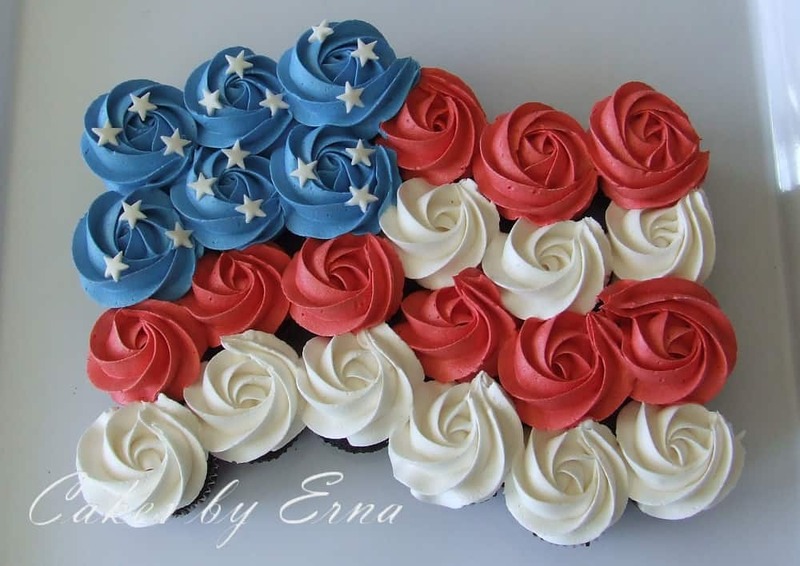 Place cupcakes in flag shape as shown above. 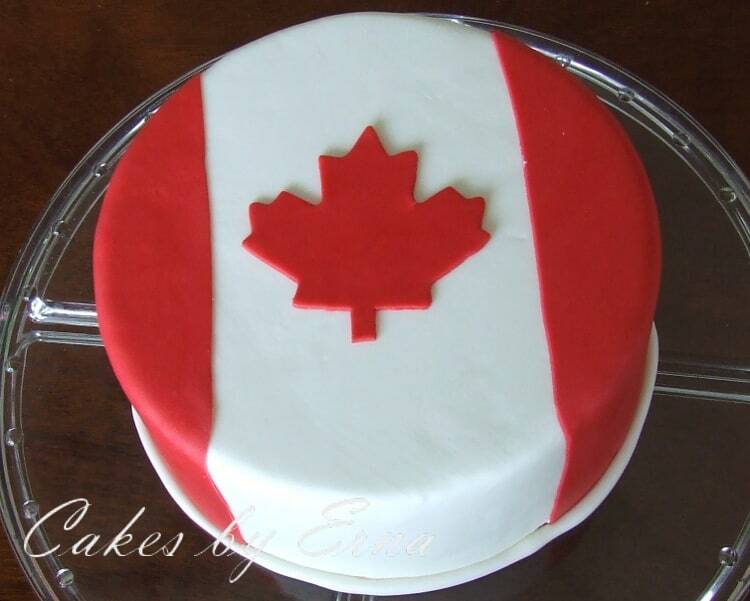 For those of you who celebrate Canada Day like us, here is a CANADA CAKE for you! Be sure to take a look at some other fabulous Cakes By Erna while you are here! Those cakes always look so so delish. Happy 4th! Ok hello – those are beautiful! Can you tell me which tip & size you are using please? What tip did you use on the flag cupcakes cupcakes? What tip is used for the icing? That tip would be the 2D.